That's My Line! : Another fun show! "That's My Line!" is moving fast and furious and is leaving great "casualties" while it's blasting the region with explosive laughter! 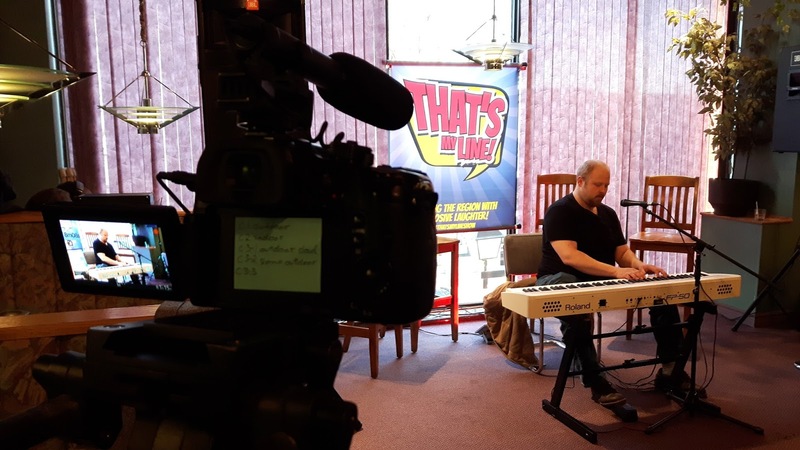 We had the pleasure to introduce this show our Musical Director, Kyle Prescott, which delighted the audience with his fun way of playing with the music. Everyone had a great time enjoying the delicious food, the cash bar and the beautiful variety act that Kyle put together. After a well deserved break, the guests had the chance to enjoy the raw comedy of "That's My Line!" Team at it's best. Our TV Producer is working on putting together a nice video of Kyle's debut with our show. We welcome Kyle Prescott to the team! "That's My Line!" on YouTUBE!